Add this doormat to your front and back entryways for a cleaner home, even with a messy dog! 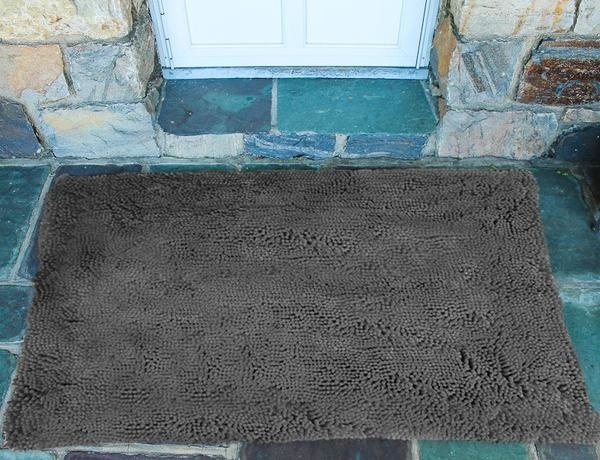 The microfiber chenille Soggy Doggy Doormat absorbs excess water and traps dirt brought into the house by your pup, leaving your home and floors clean! Doormat has a non-slip backing to keep it in place.